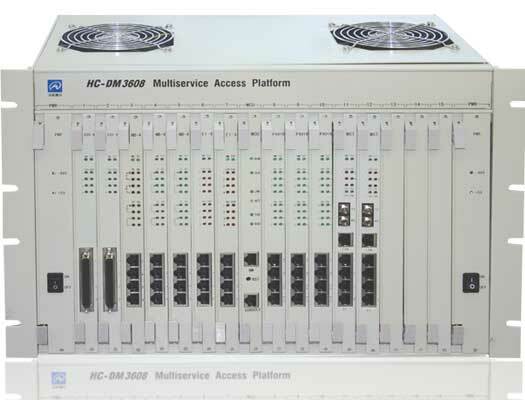 HC-DM3608 has 14 function card slots, 2 power supply card slots (1 redundant module) and 2 management card slots for backup each other. It’s the upgraded version of HC-DM3600. The capability is similar with HC-DM3600, besides the two backup management cards make the device much more reliable.